Learn more about Guide Dogs Australia's education campaigns, partnerships and news about our work. Forget about the cat walk, all eyes will be on the “dog walk” as Guide Dogs Australia harnesses a fresh new uniform look for their iconic Guide Dogs. Constant use of mobile devices is now part of everyday life, but alarming new statistics have revealed it’s a danger that impacts many Australians who are blind or vision impaired every time they leave the house. 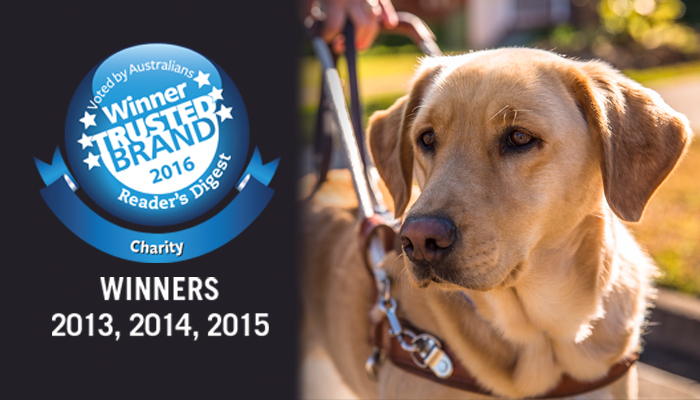 Today Guide Dogs Australia has been announced as Australia’s Most Trusted Charity Brand, maintaining their exclusive hold on the title for a fifth consecutive year. The organisation received this honour as part of the annual Reader’s Digest’s Trusted Brands survey, which added the charity category in 2013. 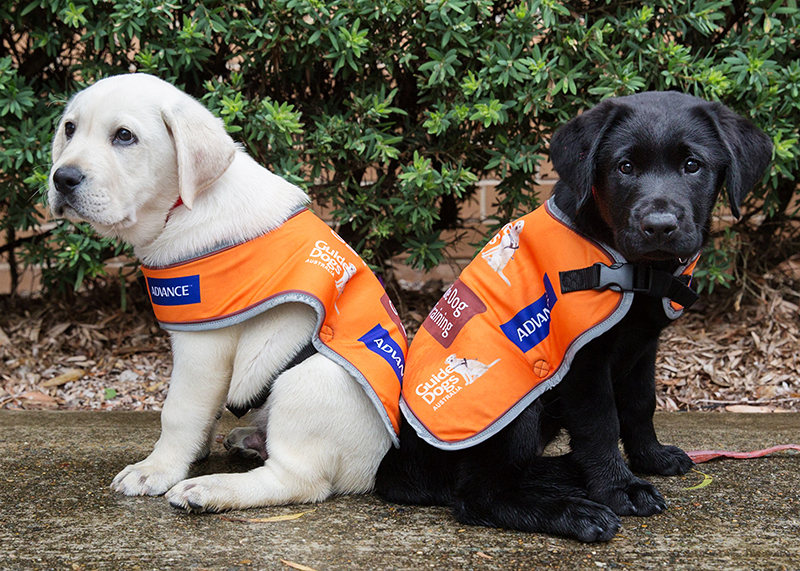 The Australian Grand Prix Corporation is pleased to announce the iconic Guide Dogs Australia as the Official Charity for the 2017 Formula 1® Rolex Australian Grand Prix. People with vision loss are increasing their risk of trips, falls, isolation and depression, with a Guide Dogs Australia survey revealing that 50 per cent of respondents waited more than two years between diagnosis and seeking assistance from the organisation. Guide Dogs Australia will be front and centre at the SCG on Saturday when the Sydney Swans host Port Adelaide. Three months ago, Salma Abdo welcomed her second Guide Dog, Jacie, into her home and quickly developed 100 per cent trust in the beautiful blonde Labrador’s ability to assist her to safely and independently go wherever she wants. Wendy’s Milk Bar have partnered with Guide Dogs Australia to celebrate National Hot Dog Day 2016!